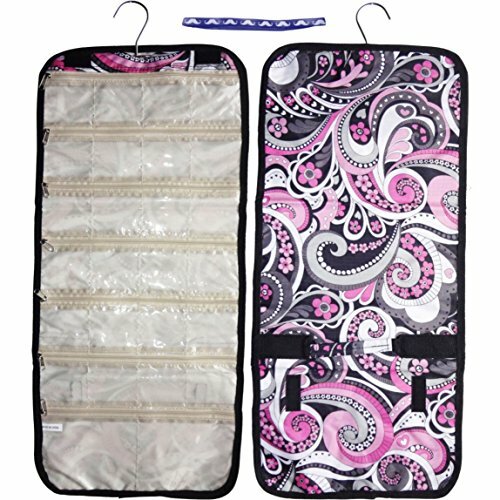 These TravelNut jewelry rolls help you organize your goods at home or on the road! Great for cosmetics, jewelry collections, bead collections--organize your small items! These TravelNut jewelry rolls help you organize your goods at home or on the road. Hangs on the back of doors or towel racks. Make great gifts for others or yourself! Large quantities may be available upon request. Order includes 1 TravelNut case & 1 trendy headband in assorted colors (please allow us to choose from styles pictured).